Splendid British Golden Age murder mystery. For several years, Benedict Grame, a rich eccentric billionaire, has invited his friends to celebrate a traditional Christmas celebration in his mansion in a remote British village. However, this year he has also invited celebrated amateur detective Mordecai Tramaine. On Christmas Eve, a woman’s scream rends the night. Santa is found sprawled dead under the Christmas tree. Will Mordecai be able to assist the local Constable to solve the crime? What is the meaning of the mysterious footprints to and from the murder scene? Does the secret passage between rooms impact the murder? What secrets are hidden among the guests, residents, or even Benedict himself? The fun in this novel is trying to determine where all the clues lead. Some lead to the solution. Some lead to other activities unrelated to the murder. Some are pure red herrings. All are explained by the finale, which is challenging to determine prior to the last ten pages in the book. This novel, which was previously published in 1949, is the second in the Mordecai Tremaine series of five books. Murder for Christmas can be read without any further exposure to the series. The language is easily understood by modern readers. This book is highly recommended for fans of Agatha Christie, Ellery Queen, Rex Stout and John Dickson Carr. 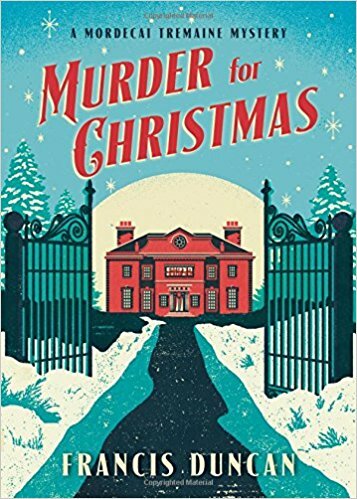 Anyone who enjoys a good mystery and especially readers who like playing armchair detective will enjoy Murder for Christmas. Thanks to the publisher, Sourcebooks Landmark, and netgalley for an advanced review copy in exchange for an honest review. Murder for Christmas (Mordecai Tremaine Mystery) will be published on October 10, 2017.